Summertime and celebrations just seem to go hand and hand, don’t they? The golden sunshine, gentle breeze filled days are the perfect setting to make just about any occasion a celebration. 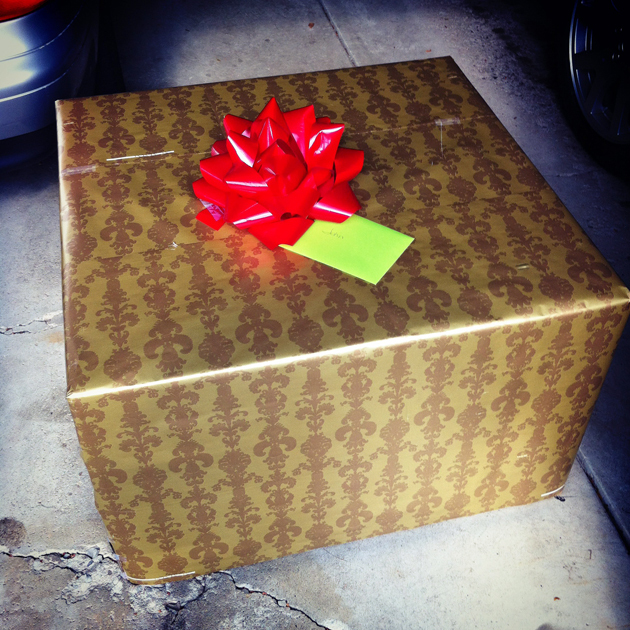 and a very large beautifully wrapped box to a warm summer day and you’ve got an occasion to celebrate indeed! Especially when that box happens to be holding a new grill! My Yanni celebrated his 25 birthday (for the 20th time) this past weekend and boy did we have a ball! After showering him with gifts, cards and plenty of love & adoration all day we were left with no other alternative than to break out the grill and cook up a scrumptious summertime meal. 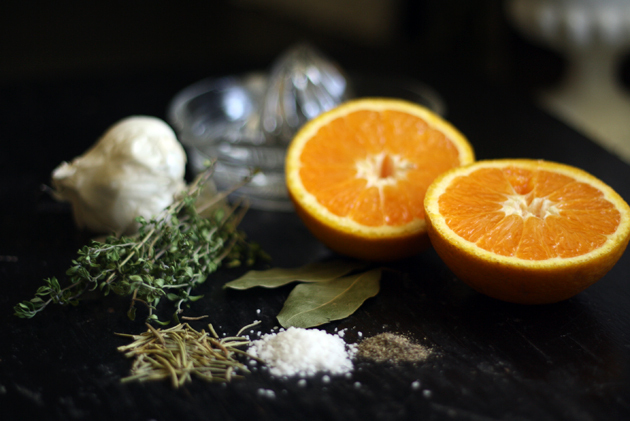 My Yanni wanted steak so we made a delicious marinade with rosemary, thyme, bay leaves, garlic, fresh squeezed orange juice and salt & pepper. It’s the perfect yummy summertime marinade. Full of fresh mouthwatering flavors. 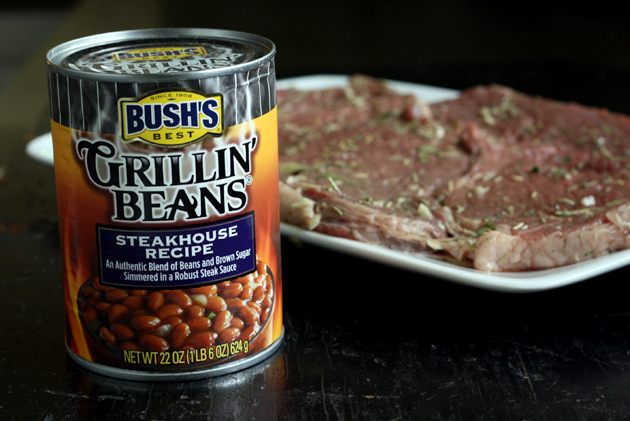 We paired the steak with Bush’s Steakhouse Grillin’ Beans. 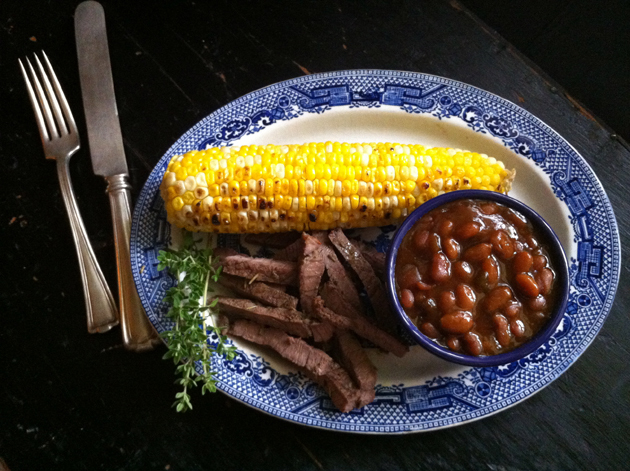 The authentic blend of beans with a hint of sweetness from the brown sugar simmered in a robust steak sauce was the perfect side for the steak. 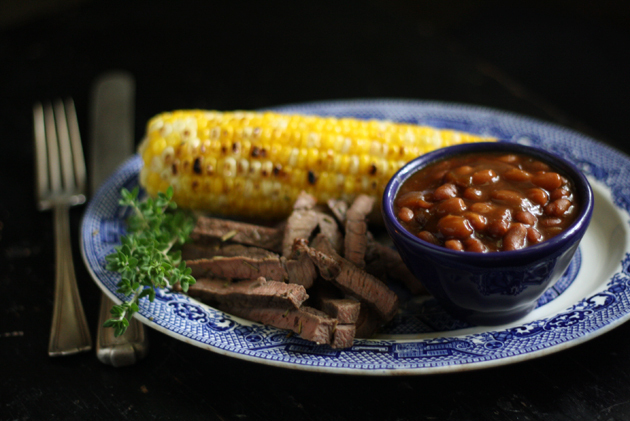 You can check out all of the other delicious Grillin’ Beans flavors by clicking here. It was a meal made in heaven that took no time at all. 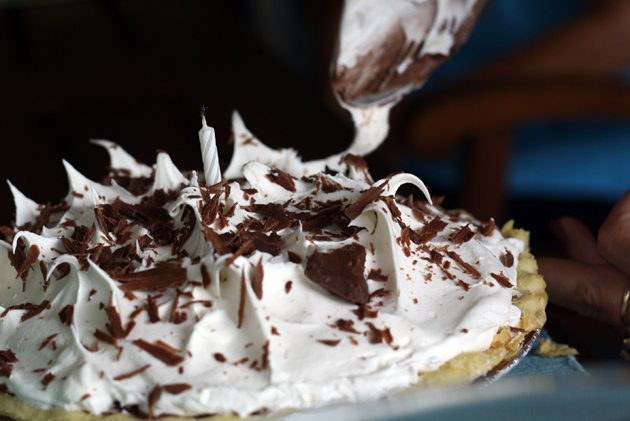 Which left plenty of time for more birthday indulgence. That, in of itself, is worth celebration in my book! Rinse steak and pat dry with a paper towel. Place all ingredients except steak in a gallon sized resealable plastic bag and mix by squeezing bag. Add steak and massage meat until all ingredients cover both sides. Let marinate in refrigerator for at least an hour to overnight. (The longer the better). Grill steak to desired doneness. Let rest 5-10 minutes. Slice & serve! 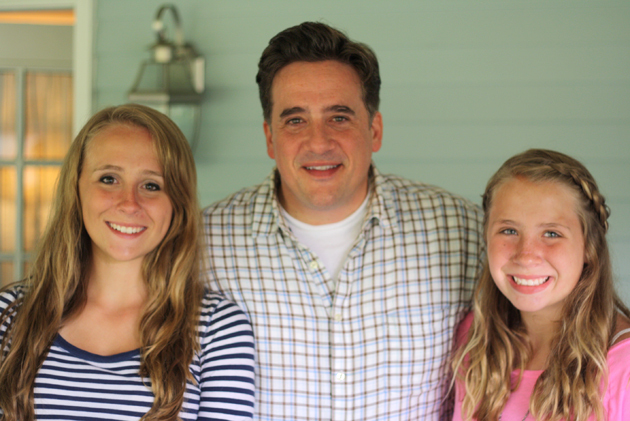 I’ve said it before and I’ll say it again…you have such a beautiful family, Wendy! Your birthday meal for your Yanni looks scrumptious. Your photo of him and your girls is beautiful. Happy Birthday to him!